The Nest Learning Thermostat™ is an Internet-connected device that is intuitive and easy to use, continuously learning about usage patterns in the home to optimize comfort and save energy. Users can control their heating and cooling anywhere they have access to an Internet connection. Supporting these features requires a sophisticated control system that goes above and beyond simple setpoint-based programs. Nest provides a wide range of algorithms (like Early On, True Radiant, Airwave™) that require a significant amount of computational power compared to most thermostats. The Nest Thermostat has the power needed to provide these advanced features. 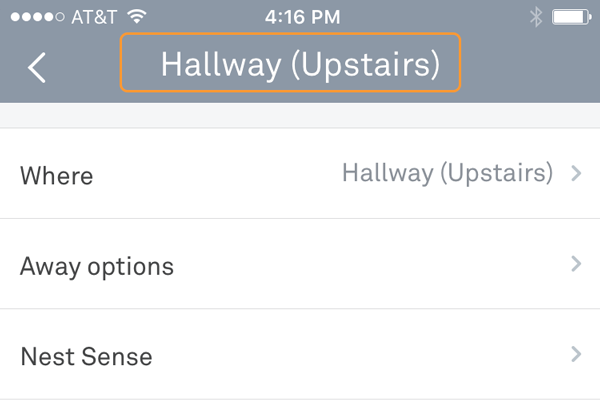 For read access to all Thermostat API data values, select the Thermostat read permission for your client. Nest devices are listed by type as an array of IDs, which can be used to uniquely identify a device via the device path. So a thermostat ID of "peyiJNo..." means that you can load the thermostat device model at devices/thermostats/peyiJNo... via the API. In these examples, name is "Hallway" or "Hallway (West)". In this example, name_long is "Office (Upstairs)". Beginning with permissions version v5, you can add a custom thermostat label through the API. 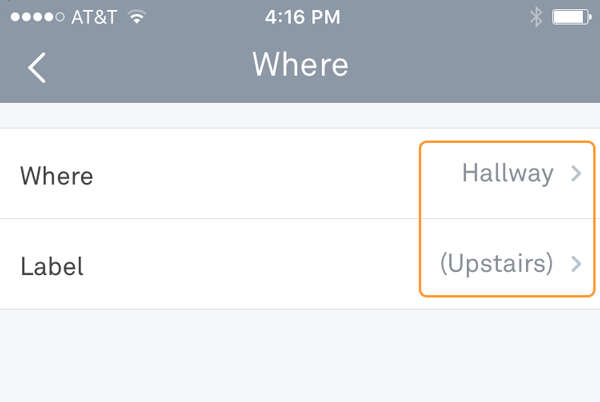 In the Nest app, label appears in parentheses, after the where name. 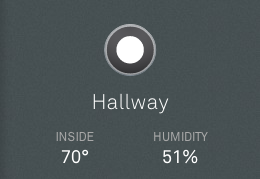 Beginning with permissions version v6, you can also read the Thermostat label. 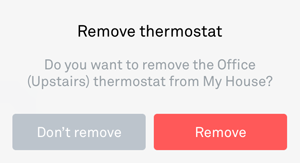 When you choose any of the Thermostat permissions, you can access the device where_name from the device object (devices/thermostats). HVAC systems have four "on" states (heat, cool, heat-cool, eco) and one "off" state (off). We use these states to manage comfort and energy savings through hvac_mode and temperature data values. When Heat or Cool mode (heat, cool) is selected, the Thermostat adjusts the home to the target temperature. When Heat • Cool mode (heat-cool) is selected, the Thermostat will keep the home comfortable, within a preferred temperature range. When Eco Temperatures (eco) is selected, the Thermostat will apply energy-saving algorithms to keep the house comfortable and reduce energy usage. Thermostats in this mode display ECO. Structures have two states related to presence: Home or Away. When no motion is sensed in the house, the structure will change from Home to Away, and the Thermostats in the home will enable Eco Temperatures automatically. Eco Temperatures allow the user to save energy, whether they are home or not. Consider switching the hvac_mode to eco when implementing energy-saving behaviors in your product. Caution: Eco Temperatures should not be coupled with occupancy. 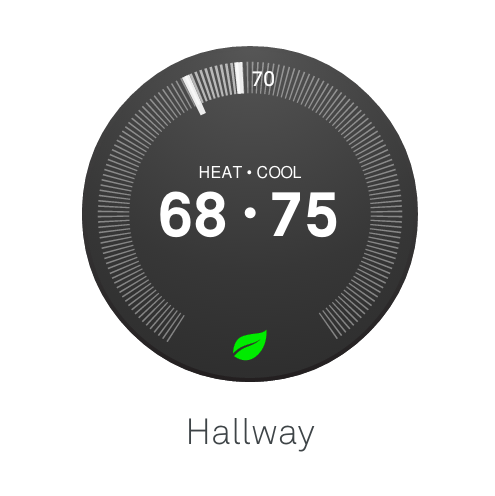 Eco Temperature endpoints are available in the Nest API beginning with Thermostat read and read/write v6 permissions. Your product should not need to manage target temperatures directly in Eco mode. When the home is set to away, the target temp is not displayed, but is internally set, based on user selection. When the thermostat is set to OFF, then no target temperatures are observed. Beginning with Thermostat read and read/write v6 permissions, you can access previous_hvac_mode through the API to assist with HVAC mode transitions. previous_hvac_mode is used to store the hvac_mode of the device before it transitioned to "eco". Note: Use previous_hvac_mode to transition from hvac_mode = "eco" back to the previous HVAC mode. Be sure to confirm the hvac_mode change, prior to modifying the target temperature. confirm hvac_mode is no longer set to "eco"
After these steps, set the target temperatures as appropriate. Target temperature is the most important value for the HVAC system - it's the desired temperature, typically set by the user. Most actions and decisions are based on it. 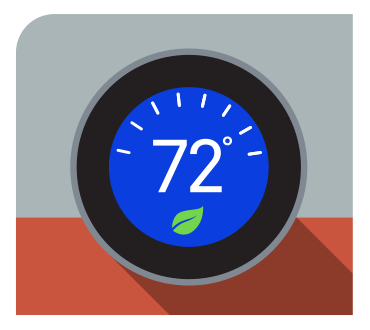 From the API, Works with Nest products can write the target temperature as part of a larger process. There is always a target temperature set when the system is on. There are also safety temperatures that are a backstop to prevent freezing pipes or excessively high temperatures in the home. When the Thermostat is OFF, no target temperatures are set. Note: If the structure is in the middle of an energy rush hour event and the user has not opted out, the target temperatures cannot be modified by products. The temperature measured near the thermostat. Display the value that corresponds with the user's preferred temperature scale. The ambient and target temperature variables are organized by Celsius or Fahrenheit scale. The temperature_scale attribute will be either "F" or "C", depending on user preference. This property is set by each thermostat, so it is possible that in a single structure a user might have two thermostats, one in each temperature scale. Keep user preferences in mind when displaying temperature values. Beginning with permissions version v5, you can change the temperature scale through the API. Target and Ambient Temperature fields have _f and _c variants to accommodate consistent rounding when displaying temperatures. When you display target temperature information, consider these three dependent values: temperature_scale, hvac_mode, and the structure's away state. Many data values work together to determine what's shown on the Nest Thermostat display, and how it behaves. The display temperature format also depends on the selected temperature scale (F/C). When the leaf icon is showing on the front of the thermostat, the thermostat is set to an energy-saving temperature, and has_leaf = true. Lock temperatures must be specified in pairs, as maximum and minimum values, and can only be written if is_locked = true. Humidity, in percent (%) format, measured at the device, rounded to the nearest 5%. Sunblock technology automatically adjusts the temperature on the Nest Thermostat to compensate for heat spikes that occur from direct sunlight on the unit. These data values will tell you if Sunblock is enabled and/or actively correcting the temperature. Many HVAC systems have integrated fans, which means that the fan cannot be controlled independently. There is no off mode for integrated fans, because the fan needs to run when the heating or cooling is on. However, if the HVAC system is compatible, the fan can be explicitly turned on via the API, in order to make occupants more comfortable, without engaging the full HVAC system. Use these values together to initiate the fan timer (turn the fan on) for a specific period of time. You can also use the fan_timer_timeout value to determine the timestamp of when the fan is set to stop running. Note that you can always change fan_timer_duration - it is independent of hvac_mode or structure occupancy state (away). If the command to turn the fan on doesn't produce the expected result, it may be because the fan is already engaged (either manually by the user, or on a schedule, or because of an HVAC heat/cool cycle). Note: We'll do our best to honor each call to turn the fan on or off, but some fan behaviors cannot be overridden via the API. We apply rate limiting to protect against excessive calls to devices, which may affect system or battery performance. Under normal conditions, Nest devices charge the battery from the low voltage wires on the heating and cooling system. But if excessive calls are made in a short period of time and the battery level gets low, the Nest Thermostat will turn off Wi-Fi to conserve power. In practice, this means that we limit the number of calls that can be made to a device within a defined time period. If you exceed this limit, you'll receive an error response and a message indicating you've exceeded your limit. For more information, see Data Rate Limits. In some cases the Thermostat may not have enough battery power to service a modification request. In this case you will receive an error response and a message indicating the device can't service the request at this time. If this happens, give the battery some time to recharge before trying again. Learn more about low battery conditions in the Nest Learning Thermostat. Some states render certain functions unavailable. These rules are in place to conserve energy or provide comfort and safety. If a device is offline, modifications are not allowed. You can observe the online state of the device in the data model and display UI appropriately.